I wouldn't even claim this and I've been in the top 100, and representing TX in a few days for the SCS. I wouldn't be quite so cocky off one or two fluke victories. There's at least 6 or 7 TX people on that list that I dread playing....including our state champion? Seems a bit.....overly optimistic, but best of luck! These guys are consistent, top notch players across a variety of eras, this isn't going to be a walk in the park tournament! Aw, thank you for the kind words. Oh wait, you probably weren't talking about me. Carry on. IFPA #945 is coming after all of you. Muhahahahahaha. 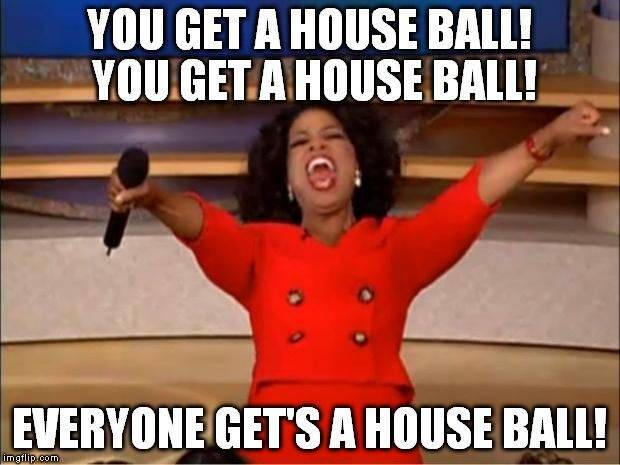 Let the house ball commence, at least that is what I'm going to tell everyone after I don't make the cut. OK, may I be serious again for just a minute. Has anyone used this queue system? I'm curious what will happen if the next person in line is not in the tournament area ready to play. If their is one thing I have learned it is that there is a pretty big % of pinball players that like to dilly dally when it is their turn to play. I'm hoping it's one of those things that if you aren't there at the very moment the game is ready for play the player is skipped (no questions asked) and that they have to go back to the end of the line. Also, if a player is skipped does it take one of their attempts away? Assuming not, but thought I should ask as I really have no clue about this process. After the scorekeepers record a score they see the entire queue and start reading off from the top. First available player is then selected and everyone above that player is logged as missing their turn. After 3 consecutive misses they are bumped from the queue. The system does not use an entry until a score is recorded or a void is requested so no need to worry about losing an entry. The hope is few people will miss their turns since they can queue up on the website and also easily see where in the queue they are at any time on the website, in two places no less. Of course it depends on the tourney and the score keeper. Usually what happens is they turn around after entering a score and if the next player is not standing there ready to go, they will call their name 2 or 3 times, then skip ahead in the queue. They typically will not wait more than about 30-60 seconds. There should be a link to the tournament rules somewhere on the neverdrains tpf landing page. Annnnnnnnd......I slacked it on buying a tourney entry. Anyone know how to get added to the waitlist if that's even still possible? Thanks again, Karl, for all your help! For anyone playing in TPF -- or has/will play in a tourney that uses DTM -- if you cross paths with Karl at a future event, be sure to buy him a drink, give him a high five, and tell him thanks for all he does for pinball. What gtown said. But since it's full, chances are slim at this point. Send the email and pray. DTM was used at INDISC at Arcade Expo a few weeks ago. Very little down time and since time is a premium this weekend, it's a great fit. My play in the first round was mighty embarrassing though. Still had a great time. Much improved and loved the software. Hopefully next year there are more tournaments (modern, classic, etc). What was the total player count? Got 6th. Great event, Thanks everyone involved! Thank you to all who organized and volunteered for this event. It was a blast to play in and y'all did a fantastic job running it. Well, Trent got onto the wait list and made it in, and surprise! I ended up 17th. Real nail- biter at the end there, Jack Danger knocked me out with two minutes left on his last entry. Pretty exciting! Great competition and everything went incredibly smoothly. Just got home. 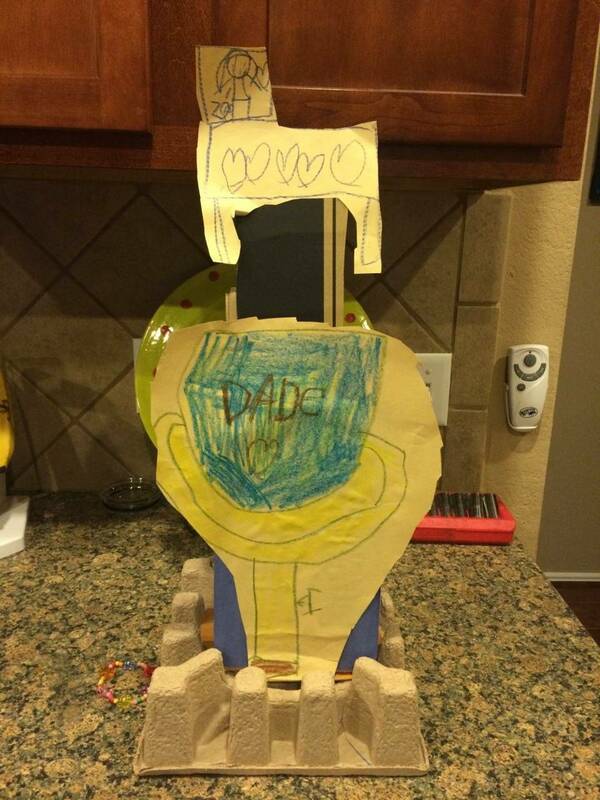 Gotta say, the 15th place trophy I got when I got home was pretty nice. Awwwww that is so sweet. God blesses you. Tournament was a huge success! Thanks to all the volunteers and score keepers! This was a rebuilding year for tpf tournament, and I think they nailed it. Wanted to post this here as I thought it was pretty cool to see the standings of the players that made it and where they finished. I thought their would be more randomness with only 20 plays but it looks fairly consistent in rankings. Dave Andresen is a much better player than his IFPA shows. He just started in competition play about a year ago and I really feel he's someone to watch out for. 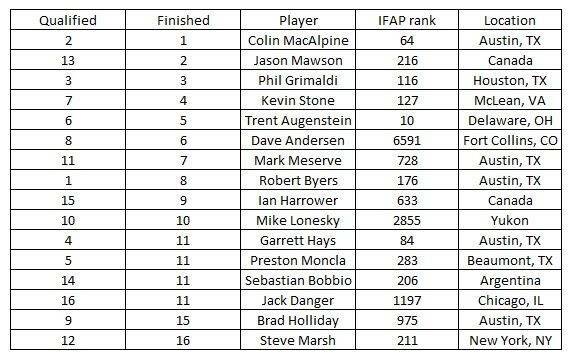 I'm Brad Holliday - I play in 1-2 tournaments a year right now so that doesn't help my IFPA ranking much either. Hoping to change that though this year. You should come out to league, Brad! Yes, I'll continue plugging it You know I know what your conflicts are. Does your spreadsheet go to 17? Dave Andresen is a much better player than his IFPA shows. Dave is a Great player and super great guy also. I expect he will be top 500 in a few months and top 300 right after that. In a short amount of time I bet he will be top 100. I stopped at 16 since the thought process was around randomness in the qualification process. I'm seriously considering joining. I want to badly as I need to practice with the pressure of match/bracket play. My soccer season ends in May so I'm looking to try and join at that point and pick up a new team that plays on a different day. Can you send me the info for that league? I tried looking for it on Bat City but could only locate the Buffalo Billiards one. I'm really happy with how well I did, I was hoping to place in the top 40 and was considering that a success. Getting the opportunity to play in the Group stages was amazing, a great experience and all the other competitors were really awesome to chat with. I couldn't have been luckier to get grouped with you and Robert and Jack for my first time in a PAPA grouping. The advice I received from all of you was greatly appreciated and I will carry it with me for future events. I just starting playing IFPA competitions, and it is just such a fun experience. These games were by far the hardest set up ones I've played competitively, mostly just been playing the local/area barcade monthlies, nothing of this caliber. I'm going to try and make Expo this year, and if im lucky I may travel to another big event. other than that I'll be at the Rocky Mountain Pinball Showdown. Hope to see you guys again, if not sooner then at TPF 2017! No problem at all. Pinball is about sharing and it was the right thing to do. Look forward to playing with you again sometime in the future too. Only question now that I have. Is my official nick name in the pinball world now "short plunge"
Can you send me the info for that league? I tried looking for it on Bat City but could only locate the Buffalo Billiards one. There's a mini-tournament next week on the fifth Tuesday of the month, and we'll start another league the week after that. We do it every four weeks so you can join whenever it's convenient, or come play in as a guest. We should probably have something on the BCP site as well, I'll get on that. A few big thank you's first: to Ken, Ed, and Kim -- for helping organize not only the tourney, but also the whole amazing spectacle that is TPF. To Rachel -- for helping as a tournament director. To all the volunteers who contributed pins, helped set up, scorekeep, register kids/parents, queue players, and fix pin issues as they cropped up. There are too many to name -- we had 4 scorekeeper volunteers and 1 judge volunteer per shift, and every single slot was filled. Special thanks to Eugene Marsh for not only helping with the scorekeeping he signed up for, but also helping on a ton of tech issues. What was our final drop target replacement count up to on Torch? 5? 6? Thanks to Jack Danger and Nate Shivers for streaming and commentating all 6 hours of the tourney finals. HUGE thank you to Karl DeAngelo, who's tourney software is simply amazing. And last, thank you to all the players who participated in the biggest turnout ever for the TPF tourney. Voting only takes 2-3 clicks and a couple seconds of your time. Thanks!